Prime Minister Shinzo Abe addresses the 2018 Japanese American Leadership Delegation in Tokyo. 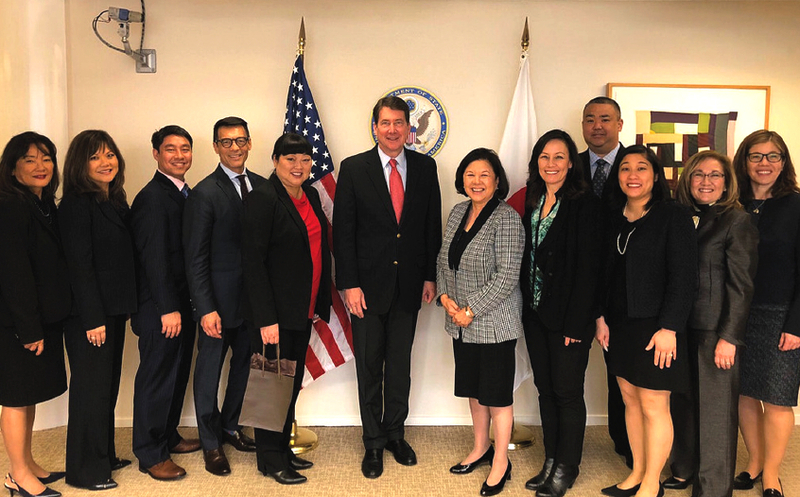 TOKYO – The 2018 Japanese American Leadership Delegation (JALD) met with Prime Minister Abe on March 5 to discuss issues pertinent to the U.S.-Japan bilateral relationship. Abe welcomed the ten-member delegation and thanked U.S.-Japan Council (USJC) President Irene Hirano Inouye for demonstrating continued support for Japan. The prime minister also emphasized that this was the 150th anniversary since Japanese immigrants first arrived in Hawaii, and expressed his joy that this year’s delegates would visit Yamaguchi, his home prefecture. The delegation thanked the prime minister for his support of U.S.-Japan relations and of Japanese Americans. They also met with Foreign Minister Taro Kono, who has spent time with every JALD class since the program’s inception in 2000. This was the first time that he met with delegates as the foreign minister, but as in years past, he brought along parliamentarians and encouraged networking among Japanese and Japanese American leaders. – Representatives from the Ministry of Foreign Affairs, Keidanren (Japan Business Federation), Keizai Doyukai (Japan Association of Corporate Executives), Forum 21, Japan Foundation CGP and Japan-U.S. Parliamentary Friendship League. The Japanese American Leadership Delegation met with U.S. Ambassador to Japan William Hagerty. 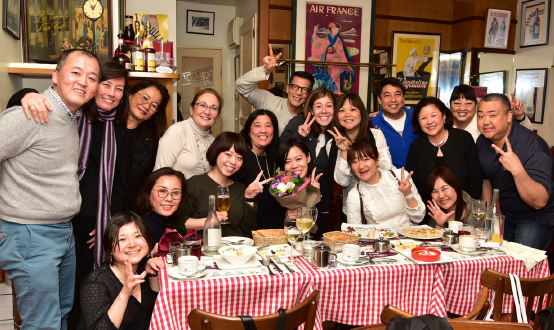 The ten participants of the program are active in their communities, engaged in U.S.-Japan relations and committed to deepening ties between Japanese Americans and Japan. JALD is sponsored by the Ministry of Foreign Affairs of Japan and organized by the U.S.-Japan Council, a 501(c)3 non-profit organization dedicated to building people-to-people relations between the U.S. and Japan. For more information, visit www.usjapancouncil.org. All smiles as the delegates share a meal. • Denise Moriguchi (Seattle), president and CEO, Uwajimaya, Inc.
• Lisa Sakai (Chicago), president and CEO, TransAgra International Inc.
• Laurie Van Pelt (Waterford, Mich.), director of management and budget, Oakland County, Mich.
For more information about the 2018 delegates, visit www.usjapancouncil.org/jald.